Prior to this recipe, I’ve not been a big fan of any “creole” seasoning, but Todd’s Dirt Bayou is awesome and it turned me around. 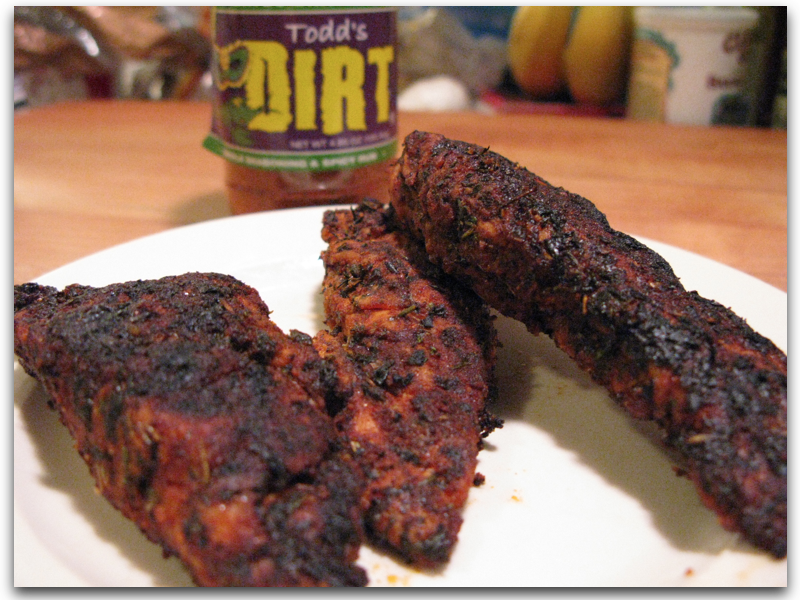 Seriously, I now like and look forward to trying creole seasonings, thanks to Todd’s Dirt Bayou Rub! As I write this review, I’m craving it. I coated some chicken breast strips with the Bayou Dirt seasoning with the goal of cooking them “blackened’ style and I was not disappointed.